Only this morning, I dusted the tops of my fresh-baked blueberry scones with sugar. Your vanilla sugar would have made a wonderful little taste explosion in the mouth that isn’t there with plain. Terrific tip! Sharing every way I can. 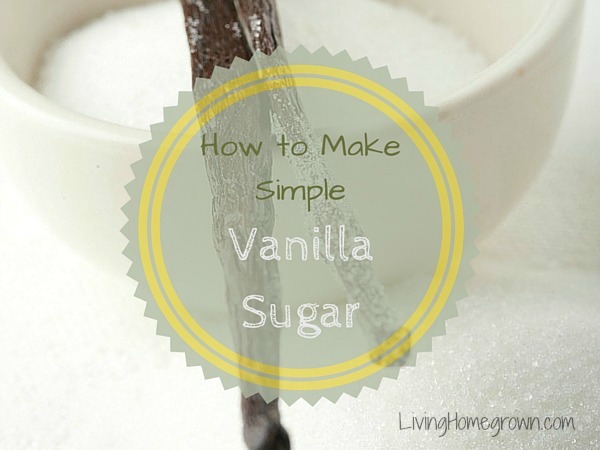 Have you ever tried this with beans that were used to make vanilla extract? Would there be enough flavor left in them to make it worthwhile? This sounds great… how does it taste in coffee? Can you notice the vanilla flavour? I am using this tip all the time now! I just made my last batch of strawberry jam with vanilla sugar. Hey, i’m a big fan of you and your blog! Nice article, i’ll try this at home! Greetings from Germany, Mari. I didn’t know that it could be so easy. You inspired me to try this tip and I will definitely put it in my favourite muffins. That’s fantastic Nath. Glad you are going to do it!